Ready for it? Today, I’m talkin’ about pouring water. A simple activity with a laundry list of lessons to be learned! I’m no Montessori expert and haven’t purchased anything specifically Montessori except for this book which I actually thrifted for $2! 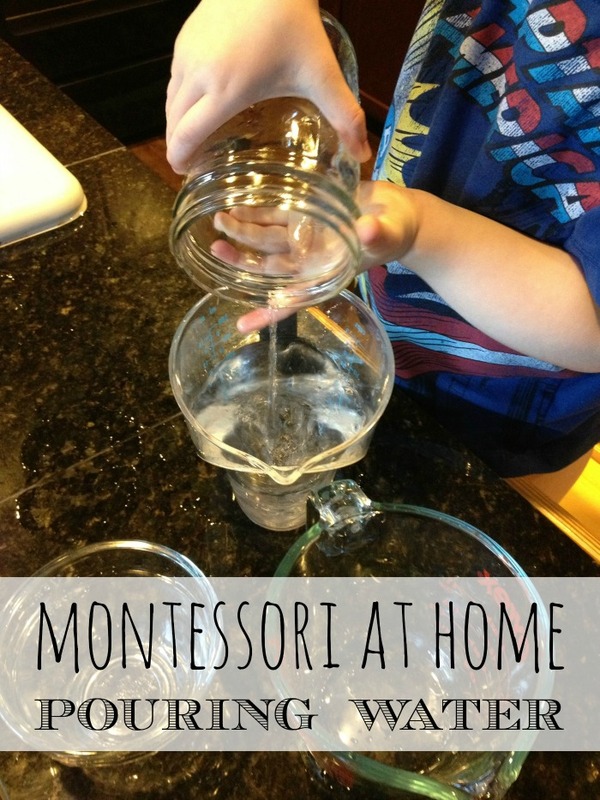 I often read Living Montessori Now for ideas and more knowledge too and from there modify lessons to fit what we already have at home. Pouring water is a great exercise for children to develop the muscles and skill needed to transfer liquids from one container to another. It also builds self-confidence and self-reliance.